The Predacons go after an ancient train that they believe carries a precious cargo. Naturally, the Autobots arrive on the scene and do battle. The Deceptcions challenge the Build Team to a duel, for their space bridge network. Optimus Prime cautions them against it, but they defy orders and wind up over their heads again. Sideburn's obsession with red cars causes him to be trapped by the Predacons and used as bait for a trap for Optimus Prime. Slapper: Well, if we're gonna dress up like Autobots, then I'm gonna look like Optimus Prime! Yeah, that's it! Dark Scream: I'll be Optimus Prime, I want him! Sky-Byte: Stop this nonsense! If you had any brains you'd be dangerous. I, of course, shall be Optimus Prime. Slapper: Well, ain't that just Prime. Old transformer fans like me have unfortunately fallen into a trap. We remember the original so fondly that anything else seems bad. In fact, it takes an excellent product like beast wars to even make us forgive a TF series for existing. Sadly, RID isn't excellent like beast wars, so old fans will think they won't like it. Truth be told, the show isn't that bad. 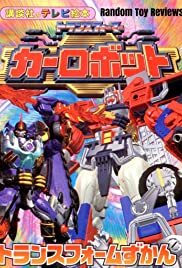 The writing is childish because it was meant for pokemon-buying kids, and the producers were at least kind enough to use some stuff from previous series, like the flying shark from the japanese Beast Wars, the combaticons and Ruination's ability to "scramble" from G1, and the stasis pods from Beast Wars. Fortunately the show doesn't take itself seriously, something that already makes it better than Armada and Beast Machines. In fact, this show has enough personality that I may consider adding it to my collection if someone ever ports it to DVD, after I get the original and japanese episodes of course. Someone should seriously try to bring Beast Wars and Beast Wars II (not Beast Machines) on DVD!! Bottom line is if you don't take it too seriously, you'll probably like it, and that's the truth.